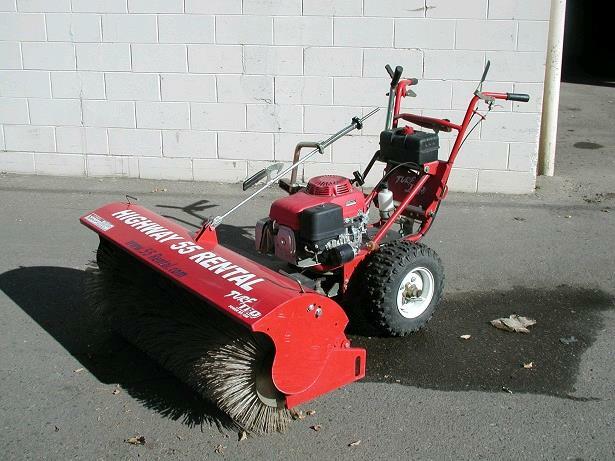 USES:Sweeping Debris from Turf, Sidewalks, Parking areas, etc. Sweeping Sand in Pavers, Light Snow Removal from Sidewalks. ENG.- 13 HP HONDA, fuel tank 1 gal. Weight-500 lbs Dem.-L-84" W-52" H-44"
* Please call us with any questions you may have about our sweeper power walk behind brush in Hamel MN, Plymouth MN and the Twin Cities.